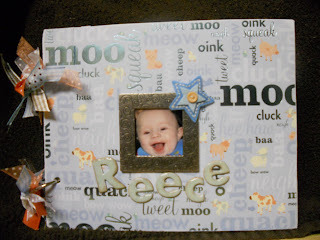 Here is a little brag book I made for Reece's first birthday. I pre-made all the pages so Jen and Tim can insert their favorite photos and journal a bit. I used the same circle stamp background through out all the pages and stayed within the same color family for paper and accessories. This way it can be filled with one event of just favorite moments. 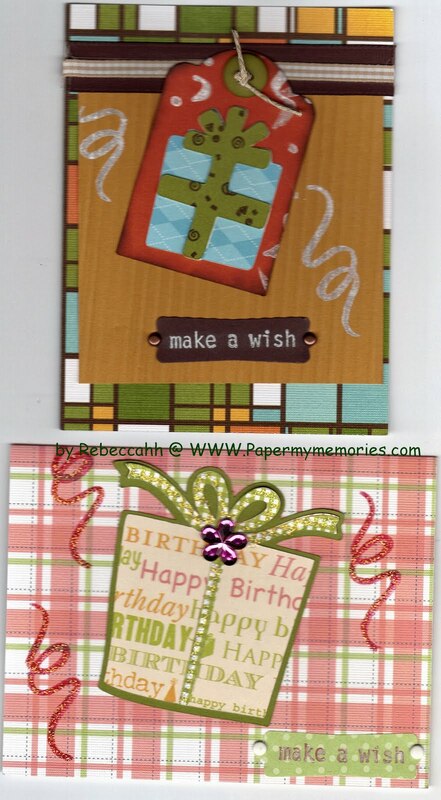 The top cover page demonstrates the color pallet, the center is a good photo of the background stamp and the third photo shows a close up of some of the accessories. I shared my use of a stamp as creating a background. I can't wait to see yours! 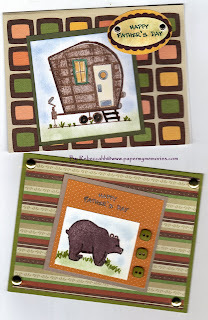 The New Stampin'Up! 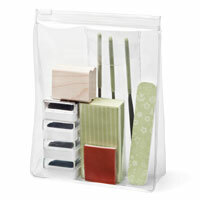 Distressing Kit is just $19.95. 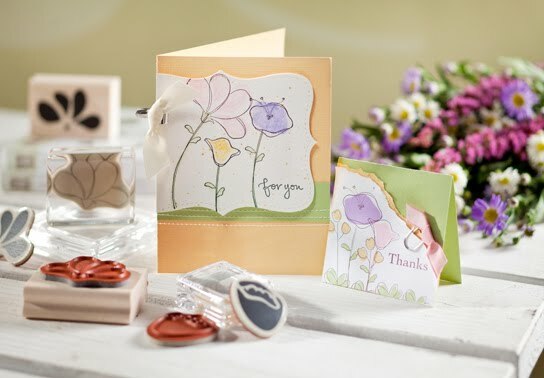 Contact me today and I will be glad to send you the new 2010 - 2011 Stampin'Up! Catalog! The New Catalog Idea book is free with a $50 purchase or just $5.00 with any order. 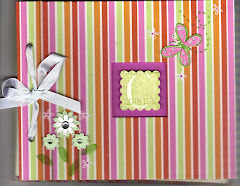 It is so nice today and I was thinking about making a couple of summer cards and saw this technique on the Stampin'Up! website. Sometimes it is nice to go back to the basics and use some of the supplies I have on hand. I thought you might like this technique. 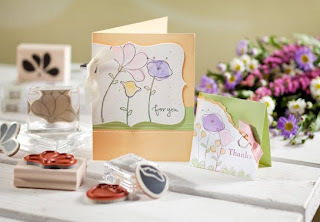 For some of you it is a refresher and for others it is a simple way to create some new looks your cards, scrapbook pages or paper craft ideas. As always, I hope you share the projects you have made. I would be glad to post them. Enjoy your week! 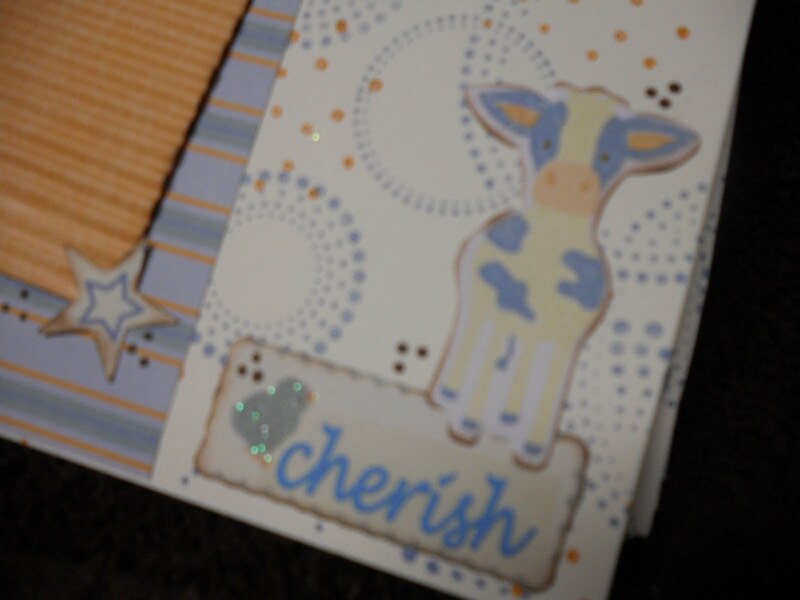 1] Apply pastel color to your card stock or paper with a sponge-tip applicator, cotton swab, sponge dauber, or stiff paintbrush. 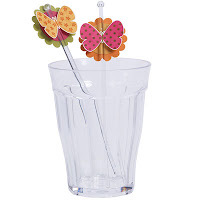 2] Blend the colors as desired with the applicators or blender pen. When using blender pens, just touch the pen directly to the corner of the chalk to pick up the color. 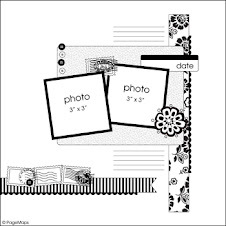 1] Stamp the image with a white Craft Stampin' Pad or VersaMark® ink pad. 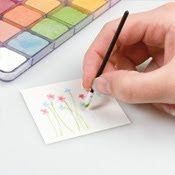 2] Use sponge daubers to apply the pastel color directly to the ink. QUICK TIP To avoid smearing, gently dab the chalk rather than rubbing it across the image. Back to the basics! I decided to stamp and hand color my cards today. I also love to you my ink pads and daubing sponges to add color around the stamp and create additional scenery. I hope you enjoy them! I would love to see some of your creations as well! See you soon! There are so many things happening during the month of June! Graduations, weddings, birthdays, Fathers' Day and of course the start of Summer! 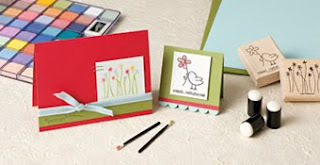 A great photo opportunity month and what a great time to enjoy making some fun gifts, cards, or layouts. 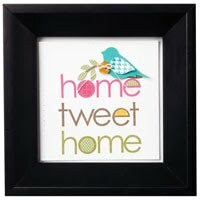 I also love to make framed art and give as a gift, or how about some cute swizzle sticks for a summer luncheon or family gathering. Just email me and I would be glad to send you the list of the Stampin'Up! items used to make both of these projects. Happy Crafting! Why not try the challenge? Pagemaps.com had some cute layouts and I thought it would be fun to post a couple here to try! Enjoy using the maps or combined them with some techniques posted here as well. Then email me your creations and I would love to post them! Here is another technique to use - Masking! 1] Stamp image on card stock. 2] Stamp it again on a piece of scratch paper. 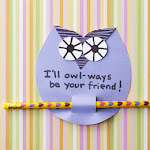 3] Cut carefully around the scratch paper image, cutting just inside the lines; this will be your mask. 4] Place the mask on top of the card stock image. 5] Stamp another image over a portion of the mask to create layered, interacting images. 6] Remove the mask to see the finished look. 7] To stamp a partial image, use tape to cover the part of the stamp you don't want to appear, ink the stamp, remove the tape, and stamp the image. To ensure that the mask stays in place, stamp image on a Post-It® note. 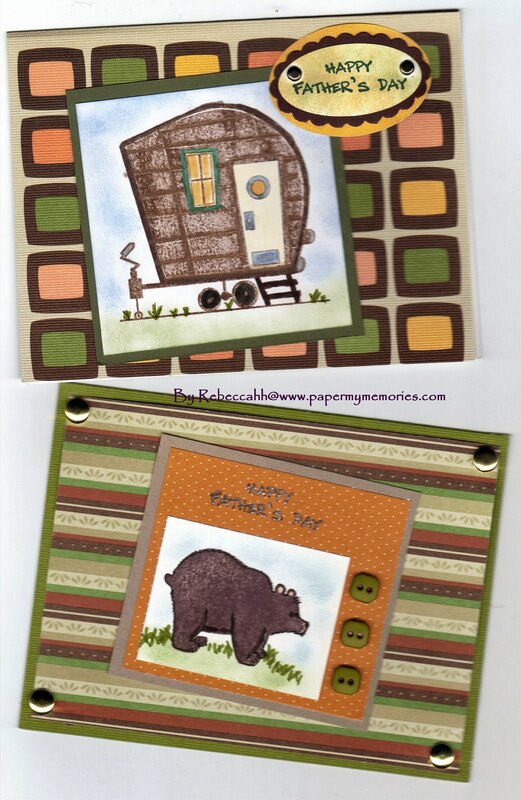 Happy Scrapping and Paper crafting! 1) Stamp and heat emboss your image. Allow image to cool. 2) Apply ink directly to the paper (over and around the embossed image) using a sponge or brayer. 3) Wipe the embossed image with a tissue to remove the excess ink. 1) Once you've embossed an image, scribble around and over the image using a Watercolor Wonder Crayon, and blend using an Aqua Painter. Wipe the color from the embossed image, and allow to dry completely. Cricut Fans - this is a great way to create your own images with some of your favorite shapes and cartridge images. Please email me photos of your creations and I will be glad to post them! You may have seen this technique before, but I really liked these colors and cards, so I thought I would post the instructions as well. 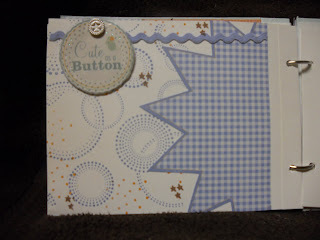 I hope you come back and post your creations using the two-step stamping! 1] Stamp the base image. 2] Position and stamp the overlay or adjoining image. 3] Restamp the image one or more times without re-inking it. This technique is a great way to get several shades of color from a single ink pad. Use lighter ink for the base image and darker ink for the overlying image. For more ideas just visit often! 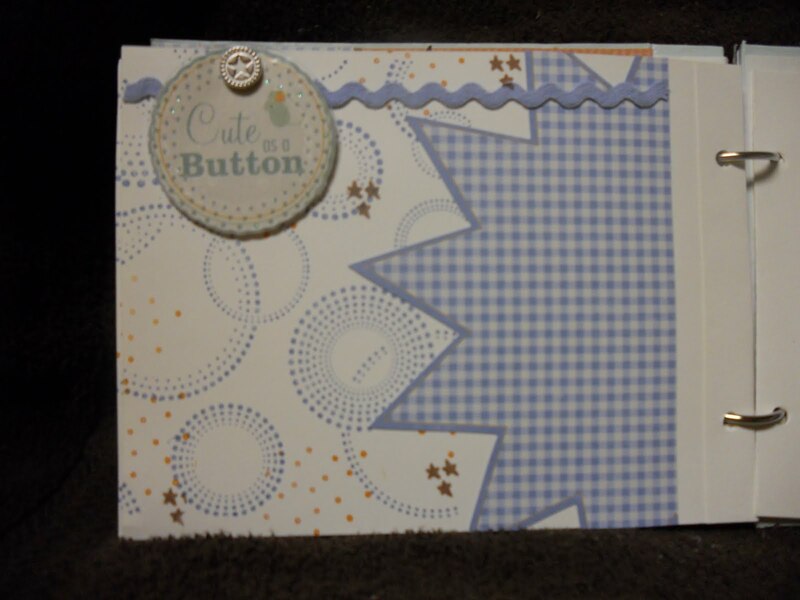 This was designed by Stampin'Up! and is just one of their many techniques I have learned! Happy Crafting! 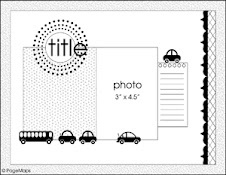 In the mood to create a quick and easy photo book? I was trying to find something cute and simple to share with you! 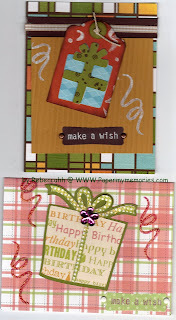 I am behind on my scrapping as usual and found this cute birdie flip book using Stampin'Up! supplies. It makes a great brag book for your desk at work or make it and cover it with clear contact paper to carry in your purse! There are quite a few holidays coming up so think about some cute and easy gifts now. You can also contact me and I can email you the directions and supply list! Happy Creating! It's time for a little love in the air! Whether you are into scrapbooking, framed art, making greeting cards or any type of paper craft, we need to get busy and start creating! 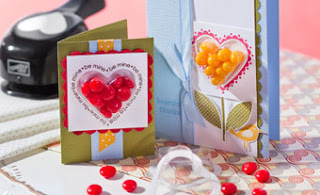 My favorite day to be creative is Valentine's Day and it is only a couple weeks away!!!! 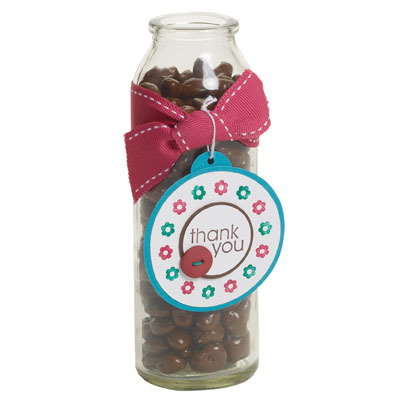 It is a great time to send a little something special to loved ones, friends, teachers, or just a sweet way to show someone you care. My next sweet treat workshop is scheduled for Saturday, February 6th! Come and share your creative side. Just contact me for more information!